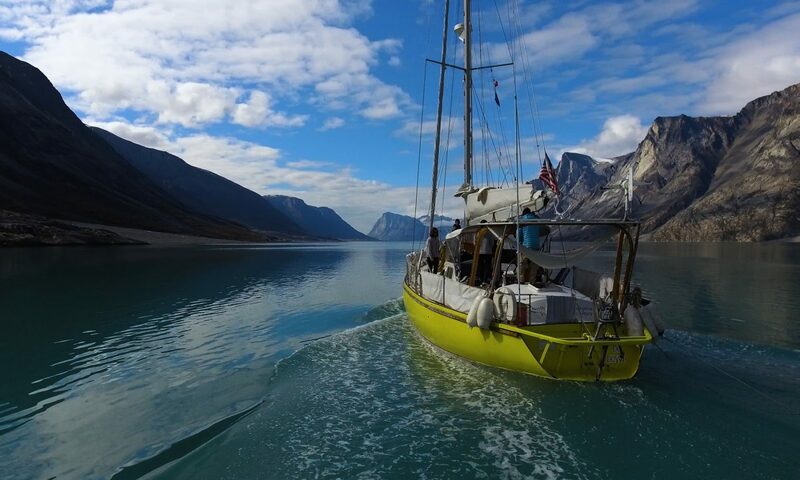 Our departure for the focus of our summer adventures, the North West Passage, is imminent. We finally reach Upernavik. From the sea, all seems still and tranquil in this village of 1300 souls. A typical Greenland small outpost with its colored houses wedged between sea and mountains and without much space to spare, even going up on higher ground. After a good « night » rest, it’s time to take the road again, in fact to « walk the ice » again. It’s 10:30 am . We get out of our embedded nest in the drifting ice-field and soon are back on track. Before going up north again, so impressed had we been by our encounter with the EQIP glacier that we decided to sail back for a last goodbye to our icy friend.